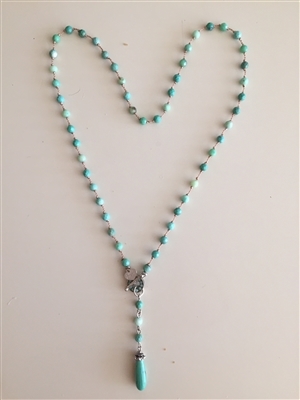 pendant length: 1" 2" 3"
Stunning and pretty hand knotted Peruvian Opals. The closure has handset crystals on both sizes of the round toggle closure. 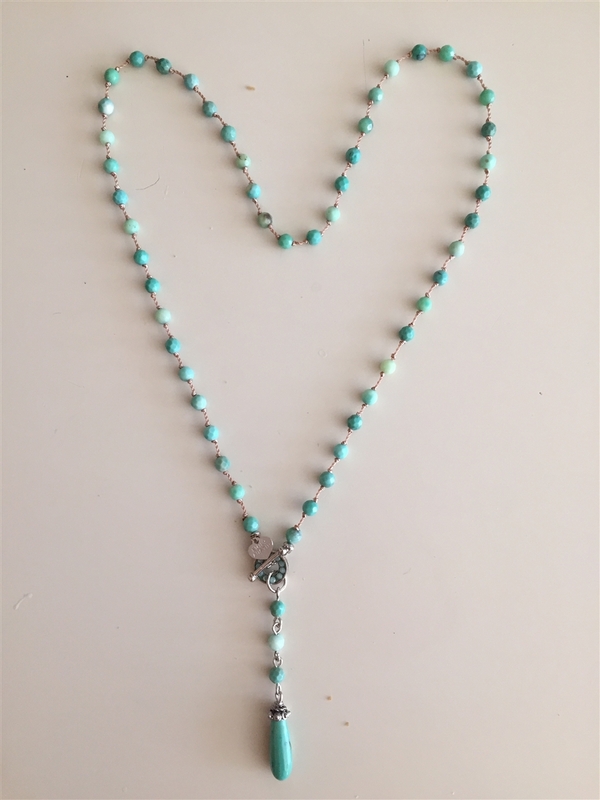 The nylon cord is durable and dyed to match the color of your squint accentuate the beauty of the opal beads. Finished off with a opal teardrop pendant and Bali bead. The circumference of the necklace length is measured to the toggle.